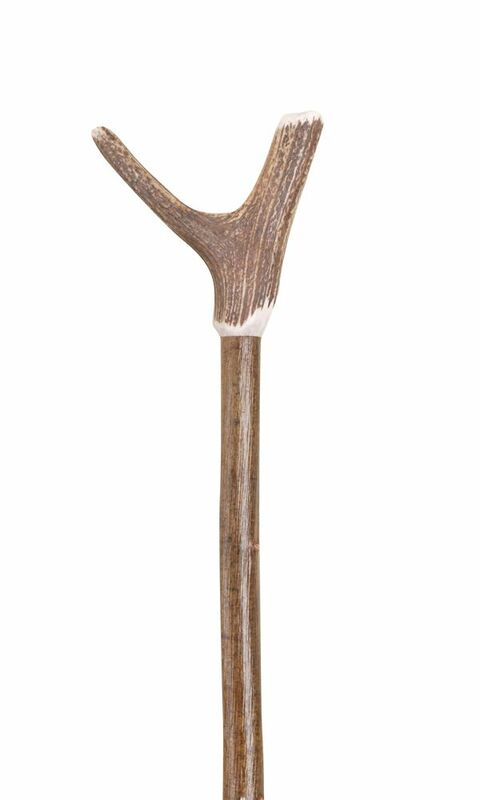 Staghorn wading stick with lanyard and lead bottomed weight to aid stability when fishing in deep rivers. Rubber ferrule included. The horn is grounded, sanded and polished before being fitted to the natural wooden shaft. The horn is naturally shed by deer annually and no animals are harmed in the collection of it. Height approximately 55" (139cm).